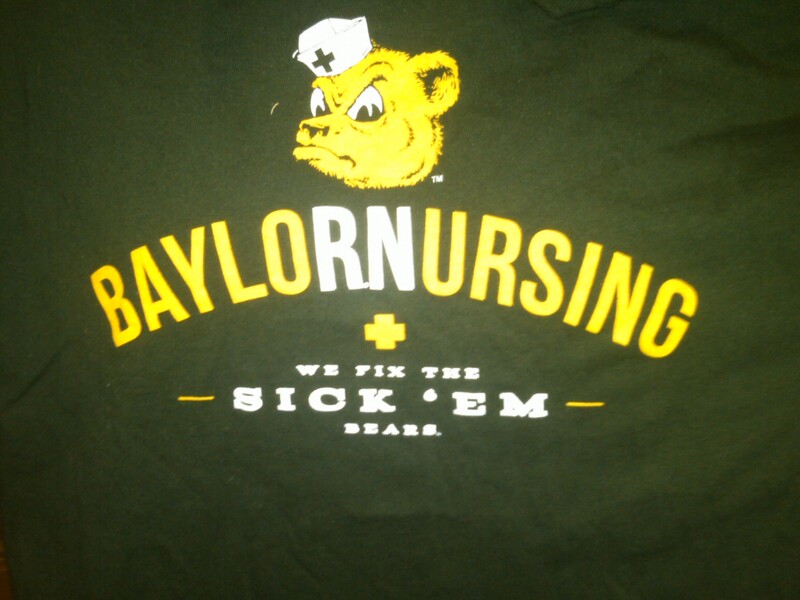 This t-shirt could be a line straight from the indian chief in Peter Pan…”BayloRNursing We Fix the Sic Em Bears”…so cute! She is home for the semester break and even finished her first semester with a Keeper GPA! She is still loving Baylor and has her heart set on getting one of the 72 nursing spots after her sophomore year. And we have tickets for the much anticipated Bowl Game! The Baylor Bears were invited to the Texas Bowl…too bad it wasn’t New York. She graduated from high school in Reliant Stadium. Go Bears! This entry was posted in Tiffany. Bookmark the permalink.